Part 1 provides an introduction to FireMonkey and describes what you need to get started. 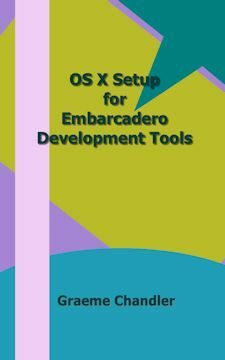 It introduces you to the resources required from Apple and shows you the steps to set up your Mac and Windows environments for both OS X and iOS development. Part 2 looks inside FireMonkey at the nuts and bolts: the global Application, Screen and Platform objects, component categories and forms. Along the way we cover the differences in fundamental classes such as TControl and image and button controls. More than 25 pages are spent looking at styles, effects and animations before moving on to multilingual support. Another 25 pages is spent examining 3D applications and controls including cameras, lighting and materials and dealing with models. Finally we look at component writing, the impact that styles have on how we write components for FireMonkey and the considerations that need to be given to multi-platform components. The more than 90 pages in this section apply equally to iOS and OS X. Part 3 looks at iOS application development and the parts that Delphi, the Free Pascal Compiler (FPC) and Xcode play. A lot of tips and tricks are provided as well as insight into some traps for the unwary. Some of the Objective-C classes are examined with guidance for obtaining more information about this vast API via the classes installed with FPC. Opening URLs of all sorts, collection classes, sending mail and UI elements such as the status bar are covered before we move on to data storage on iOS devices. Data Storage covers the file system and techniques for writing data locally using a variety of techniques, as well as the use of DataSnap. We look at how to include and access resources in the application bundle, play sound and perform background tasks and capture pictures with the camera. After seeing how to provision an iOS device in the online Provisioning Portal you are guided through the submission of an application to the App Store. Making money is then up to you! 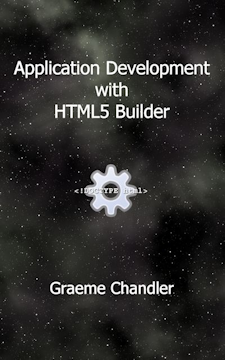 Part 4 provides a broad overview of OS X development. 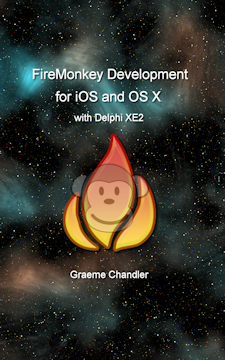 With so many FireMonkey elements covered in earlier sections, and with so much in common with Windows desktop development, this section covers the essentials such as the file system, Delphi's OS X libraries and the project Deployment Manager. Appendix A gives an overview of many of the FireMonkey components. Components that are basically a FireMonkey equivalent of existing Delphi components are not covered. It is expected that you are familiar with them. The book is available in PDF and MOBI format (Kindle compatible).